Extraordinary views on some giants of the Himalaya: Everest, Ama Dablam "the Swiss Matterhorn of Nepal", Lhotse (the fifth highest peak), etc. The importance placed on high-quality organisation, staff, equipment, and services to a small group of trekkers. 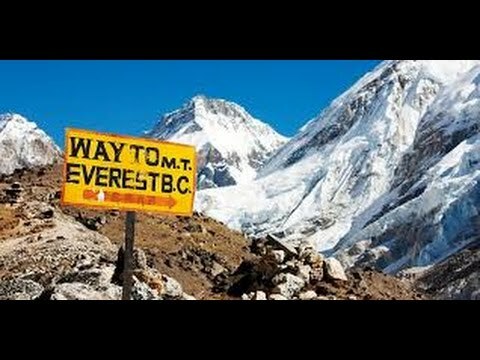 The popularity of the Everest Region has not ceased to grow since the first conquest of the Top of the World in May 1953. Mt Everest or Sagarmatha to the Nepalese and Chomolungma to the local Sherpas has become Nepal’s first trekking destination. The region is popular for good reason. Its spectacular and beautiful mountain scenery combines with the famous friendliness and hospitality of the Sherpa people. WILD YAK EXPEDITIONS proposes its own route for this Gokyo Trek, which offers the very best of the Khumbu valley. Our Trip begins with the cultural sightseeing of the UNESCO Heritage sites in Kathmandu. After that, we enjoy a breathtaking domestic flight to Tenzing-Hillary Lukla Airstrip from where our trekking starts. After reaching the heart of Khunbu, Namche Bazar, our way continues further up to the turquoises glacial lakes of the Gokyo valley and to the highest point of our trekking: Gokyo Ri, 5360 meters from where you get surrounded by a stunning panorama of some Himalayan giant. As additional acclimatisation process, we then climb the beautiful path up to the Renjo La pass at 5360 meters. The view of the Himalaya range with, as central point the Goddess Everest and the feeling of touching the clouds, make you forget the efforts in the high altitude of the last days. The descent to Bote Koshi, which is an ancient route to Tibet, brings us then to the staging post of the typical Sherpa village of Thame with its yak herds and Himalayan flora. WHY TO GO FOR A GOKYO TREK? Trekking, especially in the Himalaya, provides some health benefits ranging from physical to mental to spiritual. It is also the best place where we have enough time to discover oneself and rejuvenate our life. Besides the personal benefits, it helps the local economy by visiting the areas that the April 2015 earthquake affected. WHY WITH WILD YAK EXPEDITIONS? WILD YAK EXPEDITIONS’ Team welcomes you in the Himalaya. We commit to organize small groups of 4 to 6 participants only with high-quality services that are essential for flexibility, contentment, good ambiance and precious exchanges of cultures and traditions with our local Team. WILD YAK EXPEDITIONS’ philosophy is: as much as possible is included in the quoted price so that each participant knows the total costs of his/her Adventure Trip in advance! Last but not least, a big Smile from the Wild Yak Expeditions Team. Any other expense that is not included in the quoted price. *We stay at your disposal for the booking of your international flight. Kathmandu: we stay at Tibet International and Yak & Yeti hotels on a sharing basis, including breakfasts. Depending on availability, single rooms can be booked upon request at an additional cost. All dinners are served in excellent restaurants in town where you can enjoy various types of cuisine, from the typical Nepali, Thai, and even steaks and Italian meals. Each restaurant has been screen by WILD YAK EXPEDITIONS representatives to ensure that it is of suitable quality for our guests. During Trekking: we stay in the lodges (small traditional mountain guesthouses) that are recommended by WILD YAK EXPEDITIONS as per defined itinerary destination. Please be aware that single rooms are not available. Though there are blankets available at the lodges, we recommend bringing your sleeping bag, as the sleeping rooms are not heated, but the dining hall will be heated in most of the lodge every evening. Showers are available at the majority of lodges at an extra cost. Please note that majority of the lodges the toilets are common, except in few of them where we provide you with attached rooms (if available), in particular at Namche, Gokyo and Lukla in order to fully enjoy your rest day with a shower. Many lodges serve a variety of cuisines such as continental, Indian, Tibetan and local cooking. Please note that the beverages are on each participant's charge, except coffee and the selection of teas that served for breakfast and in the afternoons upon your arrival, as well as some special snacks provided by WILD YAK EXPEDITIONS. Lunch package will serve the day we cross the Pass. In Kathmandu, all transportations are by private vehicles. Flights to Lukla and back, by a small two-engine Otter Aircraft. Everest Gokyo paths are broad and well maintained as compared to other parts of Himalayan trekking trails. While we are in trekking, our day starts with a warm wake up tea/coffee. After refreshing ourselves, we pack our luggage and proceed for the breakfast. As day sets off, considering the altitude and acclimatization, we walk slowly towards our next destination making frequent rest breaks to take photographs, treasure the landscape, confront the culture and admire the fascinating mountains sceneries. A 1 to 2 hours relaxing lunch break is taken. After the lunch break, we will at least spend 2 to 3 hours more on the trail before reaching the next lodge where you will be welcomed by some warm hot tea/coffee and cookies/biscuits. Our trained Guide will accompany the Group during the whole day. Before dinner, we might enjoy a short walk through the village, photographing or chat with other group members or exceptional staff. After dinner, you will be briefed on the next day program. The success of this Journey depends on both the personal status of each participant and the experience of our Team. WILD YAK EXPEDITIONS' Team carefully is selected according to their expertise in the particular environment and individual aptitudes. Our Team is thus highly experienced, skilled, trained, courteous and supportive. WILD YAK EXPEDITIONS is proud to support our local staff by providing them with a fair salary, encouraging them to take mountaineering workshops, wilderness first aid training, environmental preservation courses, garbage management, team leadership, and language refreshers on a regular basis. Our Trekking Guide and his role: WILD YAK EXPEDITIONS' Trekking Guide is a professional government-trained guide with experience in directing and trekking around the Himalaya, including first aid training and in-depth knowledge of the local flora, fauna and general environment preservation. Our Trekking Guide leads you all the way through the trekking and across the passes while giving you interesting information about the mountains, culture, traditions and landscapes. He will help as an interpreter with the local populations. He is ensuring your safety and is checking your needs throughout the trail, and to the top of the pass, monitoring symptoms of high altitude sickness. Our Trekking Guide plays a vital role in taking care of our members' needs, supervising the team and porters, and assuring the safety requirements. He also makes sure that the rubbish managed, and the trail/campsite is kept clean throughout the whole trekking trip. WILD YAK EXPEDITIONS will frequently be informed about the Group during the entire trekking experience. Our Assistant Guide: has a government license but must work as an assistant guide during some time to become a company approved Trekking Guide. He assists our Trekking Guide with all the essential duties, ensuring the safety and checking that the performance of the Group runs smoothly. Our Porters: WILD YAK EXPEDITIONS has its own reliable porters. It is their responsibility to carry your luggage during the trekking with proper handling standards. WILD YAK EXPEDITIONS is very concerned about the porters. We support and respect the porters' rights and have high standards to make sure that they treated well. We pay them a fair salary, including a bonus and providing them with good food allowances, clothes, shoes, sunglasses and medical insurances. Your safety is of supreme concern while traveling with WILD YAK EXPEDITIONS. In a case of emergency, the Group has a four (4)-litre oxygen bottle with a mask and regulator, along with a first aid kit and a 24-hour medical assistance by a high altitude medical team of doctors. Our Trekking Guide is equipped with communication means, only to use in emergencies. WILD YAK EXPEDITIONS also works with the national rescue helicopter airlines. To minimize risks, in particular during the crossing of Renjo La pass weather forecasts are provided to our Trekking Guide on a regular basis. Depending on the difficulty of some itineraries, WILD YAK EXPEDITIONS will secure the route using the necessary technical gear, if needed. Please note that the above-mentioned itinerary information is purely indicative and can likely modify during the trekking by our Trekking Guide, who has the authority to make such changes if it is deemed necessary (due to safety concerns, etc.). Every effort will be made to keep to the scheduled itinerary. However, as this is an adventure travel in remote mountain regions and at high altitude, we are not able to fully guarantee it as it is necessary to take into consideration each situation as it occurs and consequently to adapt the program in its best way. Elements such as weather conditions, health conditions of a group member, unexpected natural disasters, among others, can all contribute to changes in the scheduled itinerary. Our Trekking Guide will try to ensure that the Trekking runs according to the foreseen plan to the benefit of all the participants, but we thank you for being prepared to some flexibility and comprehension if so required. Please check the degrees of difficulty while choosing a Trekking with WILD YAK EXPEDITIONS. The majority of the itineraries proposed in our Trekking Programs are in remote areas of the Himalaya and at high altitude, mostly higher than the Alps. A good physical condition is necessary to appreciate the whole richness of this adventure! Trekking is good for everyone! A daily walk in a beautiful landscape with a consumption of significant volumes of water, chatting with local people and understanding the culture, observing your body limits, all combine to make many healthier your body and mind than they ever have been before. Before you embark for our Everest-Gokyo Trekking, WILD YAK EXPEDITIONS recommends a regular aerobic exercise including some stretching exercises for a couple of hours per week. Ideally, you should concentrate on cardiovascular fitness, building an excellent stamina and undertake a bit of strength training to be more efficient in the mountains. It is worth to go for at least once a week for a 3 to 4-hour hike, which familiarizes already your body to sustain the long-time effort in the Himalaya. The fitter you are, the faster and more easily you will get the trail, acclimatize and enjoy the trekking days. WILD YAK EXPEDITIONS proposes a simple grading system that gives you a first idea of the difficulties of the Trekking for which you might apply and enables you to determine which is the best for you. Please tell us who will be checking in. Let us know about your special requirements.